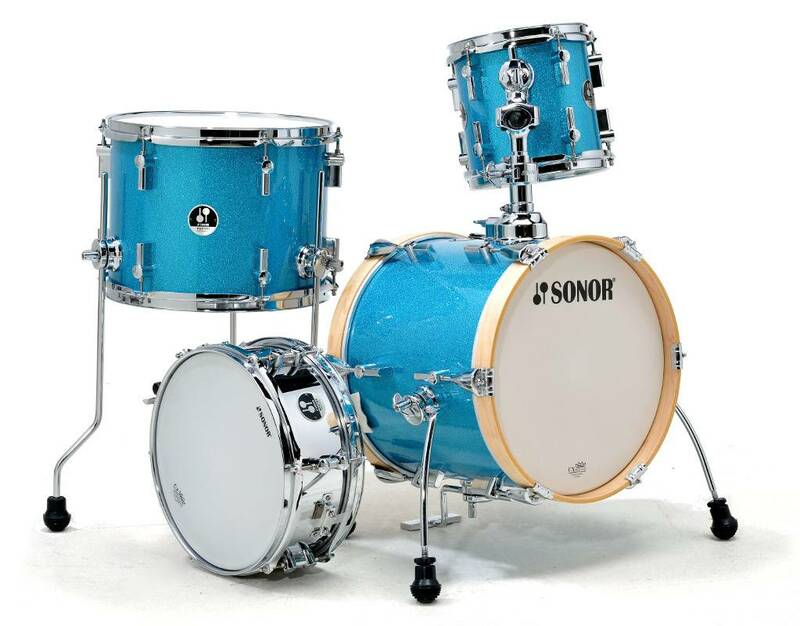 Sonor Martini Review - Compact And Light But Also Good? I’m guessing you don’t associate “shaken, not stirred” with a drum kit. But apparently Sonor did, and so they called their compact drum kit the “Sonor Martini”. ou might have your doubts about the sound potential of a drum set with no shell wider than 14”. And you might be suspicious about the cheap price as well. I owned a Sonor Martini for roughly a year, so I became very familiar with the strengths as well as the rough edges. You’ll get both in this Sonor Martini review, so you can make an informed decision. Who’s the Sonor Martini for? The Sonor Martini isn’t widely sold any more, so if you want to get your hands on a compact drum set, soon I recommend you check out the this Ludwig kit which was designed by a drumming superstar. Otherwise – i.e. if you’re dead set on the Martini, you might still find it here. … hard hitters (metal, hard rock drummers). Simply because it wouldn’t look appropriate on the heavy metal stage in my eyes. And audiences judge you by your looks more than by your skill. drum beginners who want to enter the world of drumming with a brand kit that sounds better than most other beginner drum sets. (“Beginner” could be an adult – above 5ft -, but with the small size of the Sonor Martini also your child – shorter than 5ft). 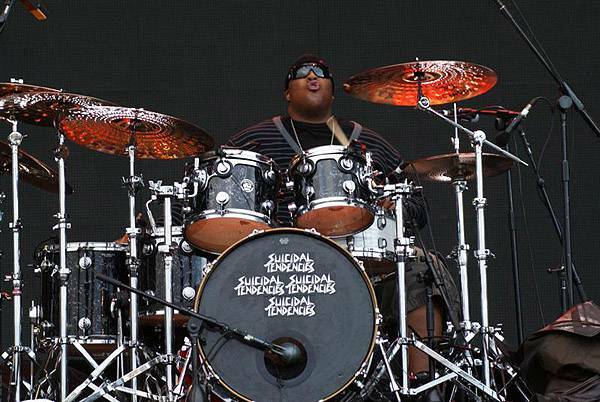 First: Sonor is arguably the top quality drum set brand in the world. 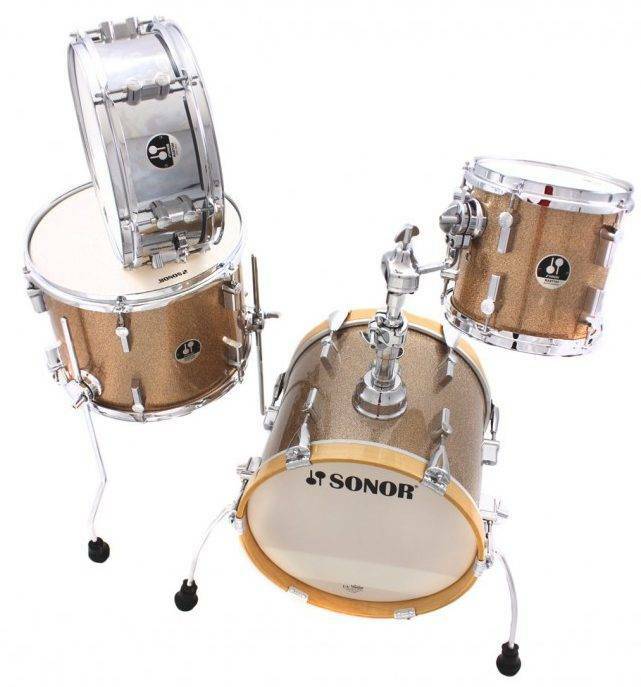 The Sonor Martini is no exception, but fortunately it’s also one of their cheapest kits. If you’re a beginner and don’t have hardware, cymbals, kick pedal and throne you’ll have to buy those extra. That would bring the price up quite a bit (see “Cons” below). But other small venue / beginner kits such as the Ludwig Breakbeats lack hardware too and cost exactly the same. Second: Please note that the Sonor Martini is available in Turquoise Galaxy Sparkle (as above) and in Champagne Galaxy Sparkle. On the Amazon product page you cannot direcly choose between the 2, but you’ll find an overview here. [embedyt] http://www.youtube.com/watch?v=GlDEufMvMcM[/embedyt] Another pro about the snare: it’s made of steel and not like with most other compact drum kits out of wood. That adds some more punch and projection. Plus it’s 12” which is unusal. Most snares are 14” (sometimes 13”), but 12” is really something special. Having had so many 14” snares already, I liked this change. Do you? And don’t underestimate design. A study found that audiences will judge a musician on stage more by how they look than by their skills. Gigging with the Martini Turquoise I’ve had people come up to me afterwards, commenting on how appealing the kit looks. Some of them even wanted to take a photo. Also: if the kit looks appealing to you yourself, you’ll be more likely to practice. And the riser is one of the major problem points of another compact drum set – the Ludwig Breakbeats. With the Sonor Martini though, any kick pedal attaches without friction between pedal boardand bass drum hoop. And the beater is held in the right place to strike the bass drum head dead center. So here Sonor lives up to its reputation of having great Quality Control. So the Sonor Martini is perfect for transport. And with a 4 x 5ft footprint it will also fit into almost any room. [embedyt] http://www.youtube.com/watch?v=Nw-tdbhMCk8[/embedyt] With good tuning or/and new bass drum heads (around 30$) you can get quite some lower tones out of the Sonor Martini. And a towel inside the bass drum will add some more punch. But in my opinion this kit still won’t do the trick for hard rock or metal stages. Advanced drummers will know this. If you’re a beginner, you’ll have to swallow it. The good drum manufacturers (Sonor, Pearl, Ludwig etc.) don’t produce good cymbals. In fact they usually make none at all. It’s only in recent times that some of the minor drum manufacturers started to include cymbals alongside their beginner sets. Meanwhile Pearl does too with their Pearl Roadshow (reviewed and compared here). The point is: if you buy a drum set that comes with cymbals, they will be crappy. Because they’ll be made of brass while good cymbals are made of various kinds of bronze. Still you could play a drum set that comes with cymbals for some time (kids might even play them for a long time). With the Sonor Martini you can’t. You would first have to invest around 200$ for a pack of good cymbals. Again, this doesn’t happen with beginner sets. And it’s sometimes the case with advanced sets. So you have to invest in hardware, and a good beginner option is to go for this DW hardware bundle (including a Hi-Hat stand, Ride/Crash stand, snare stand and a pedal). My best beginner drum set review will show you 4 drum sets that do come complete with hardware and cymbals. These kits will be considerably larger than the Sonor Martini though. If you want to look at a similarly sized kit, try my Ludwig Breakbeats review. 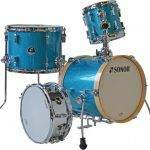 When I first saw the Sonor Martini I was blown away by the Turquoise Sparkle design. I immediately wanted to jump behind that kit, and I did. And to my suprise not even the sound disappointed me. Note though that I’m the light rock / pop kind of drummer. So the Sonor Martini has enough punch for me, but that might be different for you. For me the Sonor Martini is the best compact drum set on the market! So here you have my Sonor Martini review and now I’d love to hear back from you. Do you have a question left? An opinion to share on the Sonor Martini? Let me know in the comments and I’ll get back to you in the next 24 hours. I hope this Sonor Martini review was helpful to you! If so and if you want to go ahead and buy the kit, please consider going through the links / buttons on this page. This would make me very happy as I’d receive a commission at absolutely no extra cost to you. And you’d reward me for the care and effort I put into testing the kit and writing upn this Sonor Martini review. Unsure about my reviewing ethics? Check out my affiliate disclosure. add my Octopad along with acoustic triggers and it could become a very sweet looking setup. What are your thoughts on using triggers with it? Great idea. I hadn’t thought of this and couldn’t find an example of an actual Martini with triggers on the web – but I can imagine this very well. What I found was this video. It COULD be an old Sonor, but the guy is certainly a heck of a drummer, so I found it too cool not to share. And perhaps it will give you a vague idea of how a Martini + triggers & Octapad might look and sound like. If you try it out, though, I’d love for you to share your experience here. You can also contact me again and I’ll gladly put your experiment into the post! What is your overall opinion on the Martini verses the Safari? Thanks! Well, I’ve looked at the Martini from a carrying-it-from-gig-to-gig perspective in this review – and sticking with that, I don’t like the Sonor Safari as much. Its shells are bigger which makes it harder to carry, plus the price is higher. And in my view the sound both sets are able to produce is very similar. So I’d go for the Martini – or check out the Ludwig Breakbeats as an alternative.